Here’s the scenario: you’re happily having dinner with friends when suddenly you bite down on something hard. You quickly realize that you can’t chew it, it’s not dissolving and it’s not melting in your mouth. Unfortunately, it’s a small piece of tooth that has chipped off. You may or may not be able to tell which tooth is affected, because the chipped tooth may not be one of your front teeth and you may not feel any pain. In any case, however, you should contact Medford cosmetic dentist Dr. Giamberardino and schedule an appointment, so he can determine the best course of treatment. If you can’t see the chipped tooth and it’s not bothering you, then do you really need to do something about it? Well, that all depends on the extent of damage to your tooth. If the chip is truly minor, then no treatment may be necessary, or Dr. Giamberardino may want to smooth the chipped edge or surface so further damage is less likely. On the other hand, a larger and more serious chip might expose the interior of your tooth where the nerve is located. In this case, you may notice that your tooth is sensitive to hot or cold temperatures. You might also feel pain when you bite down on that tooth. A chipped molar is actually called a broken cusp. These kinds of chips usually are not painful, but they should be attended to by Medford general dentist Dr. Giamberardino. How Dr. Giamberardino decides to treat your chipped tooth will depend on the severity. 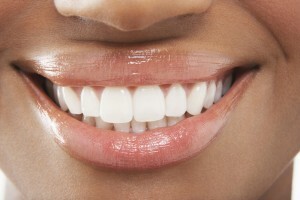 As previously stated, if the chip in your tooth is very small, then smoothing and polishing may be all that’s necessary. A medium-sized chip may warrant cosmetic bonding, a porcelain veneer or dental crown. In case of a tooth with a large chip that exposes the nerve, Dr. Giamberardino may need to perform a root canal to remove the injured pulp chamber that houses the nerve. Then to protect the remaining tooth structure and restore your tooth’s shape, he will place a dental crown. If you’ve recently chipped a tooth, or if you’ve had a chipped tooth for quite some time and would like to have it repaired, contact Giamberardino Dental Care in Medford, MA.